So you’ve decided to put yourself forward for a proper poker tournament? Playing (and hopefully winning) online poker tournaments can be a thrilling challenge, but before you jump in, you need to realise that playing at a tournament requires a different kind of strategy from playing a normal game. 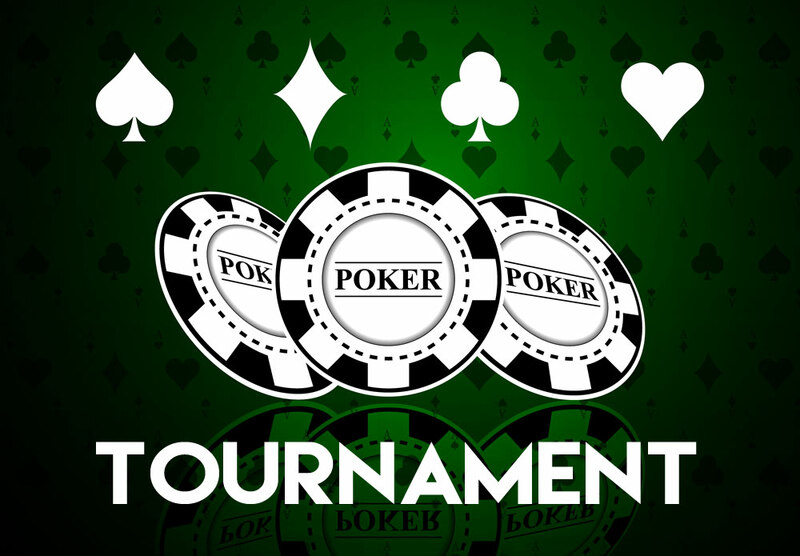 Here we’ll discuss online poker strategy and poker tournament tactics that will help you fluorish in a tournament environment. There are a few things to bear in mind before you even start a tournament. First, time constraints: online poker tournaments normally take a few hours, so don’t start unless you know you have time to go all the way until the end. Also make sure that the potential rewards of winning are enough to make up for the amount of time and effort that you have spent playing the game. If you play for several hours, finish in fourth place and win £5 for doing so, your time probably could have been used more profitably elsewhere. Finally, realise that your odds of actually winning the tournament are pretty slim. Don’t go in expecting to win, and don’t go in as a last ditch to try and correct your bank balance. Bear in mind however that tournaments are also a matter of endurance; most of the players will probably drop out before the end, so you need to have some staying power if you actually want to cash out. Like a good story, a poker tournament can generally be split into the beginning, the middle and the end. At the beginning, take the time to try and figure out who you’re up against. You need to figure out who the stronger and weaker players are as soon as possible so you know who to push against and who to avoid. The beginning is also the perfect time to have a bit of a feel around and try and get used to how the game is flowing. Blinds are low early on, and most of the players still have most of their chips remaining, so they’ve little incentive to be especially risk averse. This means you can get away with being a bit more speculative; you can try playing some weaker hands as long as you only bet a small amount. It’s very important not to go overboard in the first stage though. A poker tournament is not won until the end, but it can be lost at the beginning. If you’ve doubled your chips in the first hour, that’s generally a sign you’re on a winning course. When the one hour mark arrives, you will often see a miniature explosion of activity for a short time. This happens because players who have not done well in the first hour are making a last ditch attempt to salvage themselves before dropping out, and also because some players have a second tournament lined up that they want to switch to. Play tightly during this frenzy and wait for the storm to pass. You’ll want to stay reasonably tight from now on. By the time the middle of the tournament comes, most people’s stack will have dwindled considerably. Coupled with the increase in the size of the blinds, this is a good time to stop taking big risks. Fold unless you have a strong hand and don’t push too hard against aggressive players. The middle is also a time when you can take advantage of the players whose stacks have dwindled most. If your stack is a good size above the average, it will be quite easy for you to push these low stack players into folding. As you exit the middle portion of the game, you reach the most frantic and dangerous point. This is where most of the remaining players will ditch the game, as this with low stacks make a desperate and futile effort to try and stay in. Don’t be one of them. Be a tight but aggressive player with a good size stack and use your leverage to push them out of the game. At this final stage, all-in confrontations become very frequent, and you will need to be in on them. If your stack has dwindled, you can no longer afford to be tight; you need to go all-in and hope that you come out the other side in one piece. This stage is not for the faint of heart. Hopefully, you will be one of the last players standing when it’s all over. Studying these poker tips closely should help you get there. There’s No Horsing around When it Comes to Your H.O.R.S.E Poker Skills! Don’t freak out when you see what is about to hit our online casino sites!